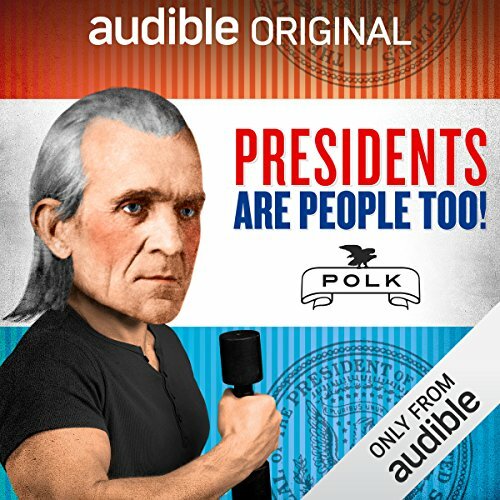 Alexis and Elliott begin the series with the largely overlooked 11th president, James K. Polk, and are joined by America's favorite satirist, Jon Stewart, writer and comedian John Hodgman, author Regina Mason, and Barney's Creative Ambassador-at-Large Simon Doonan. Mildly entertaining. Interesting facts about the subject. Could have done without the vulgar language in the contribution by John Stewart. Not what you may think! I was extremely disappointed to find out that this book is a comical treatment of our presidency! I feel as though I have wasted my money in selecting it.